Citrine Druze Cluster (6" - 7")" A -1pc of Beautiful Quality. Citrine Druze Cluster (6″ – 7″)” A -1pc of Beautiful Quality. These are beautiful Citrine Clusters that come to us from Brazil. These Clusters have been heat treated to achieve their deep coloring. With beautiful crystals and wonderful formations, these Citrine Clusters are great to use in grids, meditation or to infuse your space with powerful healing energy.Powered by the Sun, Citrine warms, cleanses, and energizes. Highly protective, Citrine makes a great tool for transmuting negative energy. Citrine heightens self-discipline and willpower, attracting professional success and wealth. It has been called “the merchant’s stone”, and can be placed in a cash box or drawer, or in the far-left corner, or “wealth corner”, of the home, to attract abundance. Carry Citrine in the purse or pocket as a general good-luck stone. 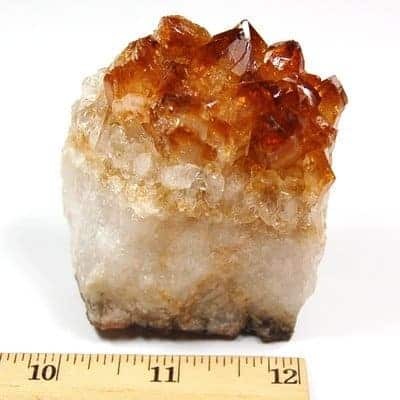 Used in manifestation rituals, Citrine works well in an energy-grid, with yellow candles and Clear Quartz and/or other Citrine Crystals surrounding it.Most often associated with the Root, Sacral, and Solar Plexus Chakras, Citrine can also be used to cleanse all of the Chakras. Sunny Citrine has a joyful vibration that transmits outward to those nearby, making these crystals ideal for any setting. Working with Citrine can help one to overcome depression, release anger, and learn effective communication skills. Citrine can activate one’s imagination, bringing more creative visions to a clearer mind. Citrine is often credited with opening the mind to new ideas, discerning which are most likely to succeed, allowing those to develop, and following through with them to their happy conclusion.Note: “B” Grade = Dark: Poor golden brown to coffee color, opaque and/or > 25% matrix * Pictures represent variation in color quality. Please see product name for the actual quantity for this item. This is a beautiful Citrine Druze Cluster that comes from Brazil. The Crystal Clusters have been heat treated, which does not harm the crystal structure,or the energetic properties but it does allow the stone to achieve and keep the deep rich coloring. 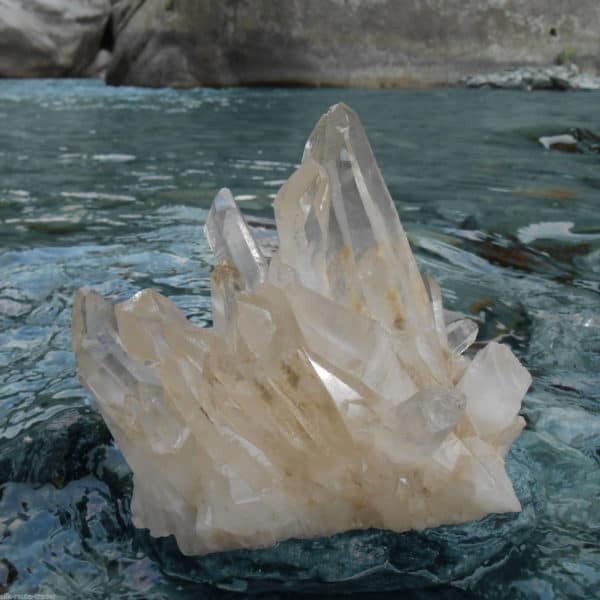 These crystals are of wonderful dimension and formations, and are perfect for use in grids, during meditation or to infuse your home environment or office space with powerful healing energies. Charged and linked to the energies of the Sun, the Citrine Cluster warms, cleanses, and energizes. 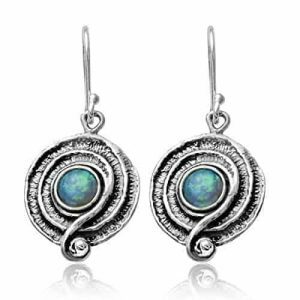 It is a highly protective stone and makes a great tool for transmuting negative energy. attracts success in career and professional ventures. 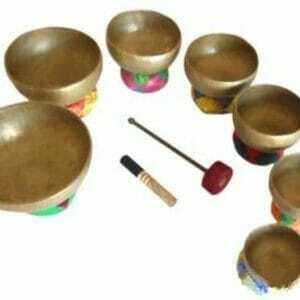 attracts wealth and positive finances. 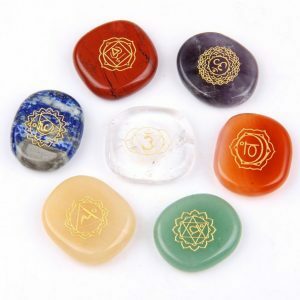 It has been referred to as “the merchant’s stone”, and can be placed in a safe, cash box or you can place it in the far-left corner (known in Feng Shui as the “wealth corner” of the home) to attract abundance. Carry or wear smaller citrine gemstones in your purse or pocket as a general good-luck stone. Great for energy work and works well in a grid. Use for color healing in tandem with bright yellow candles and some Clear Quartz and/or other yellow and orange Crystals. Most often associated with the physical energy chakras – the Root, Sacral, and Solar Plexus Chakras. 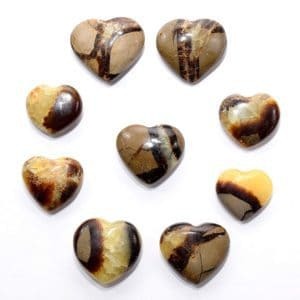 It is particularly powerful for use with Manipura the Solar Plexus Chakra. Citrine, as a member of the quartz family, can also be used to cleanse and balance all of the Chakras. 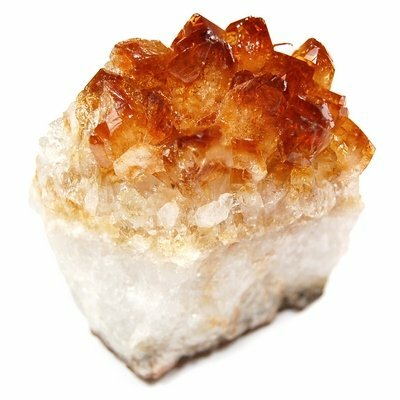 Health Benefits Of The Citrine Druze Cluster. Sunny Citrine has an optimistic and joyful vibration. 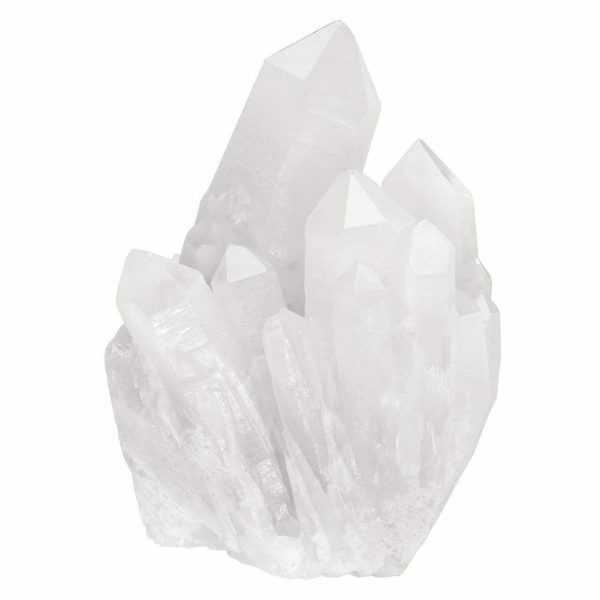 It transmits this energy out to all those nearby, this makes them ideal crystals ideal for just about every setting. Working with Citrine can help those who are struggling with emotional ill health and those working to overcome depressive illnesses. It is wonderful for those who wish to express emotion in a healthier manner and release stored anger. The energy it emanates aides us to build more effective communication skills. 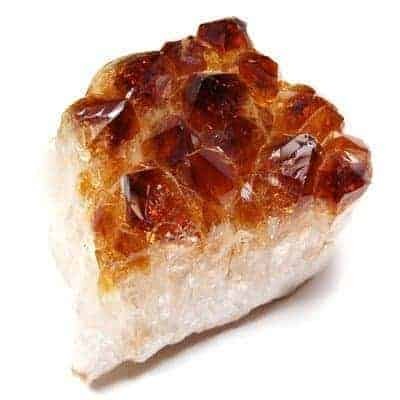 Citrine is also useful for those wishing to activate their imagination and to bring their creative visions to clarity and enable them to become reality. 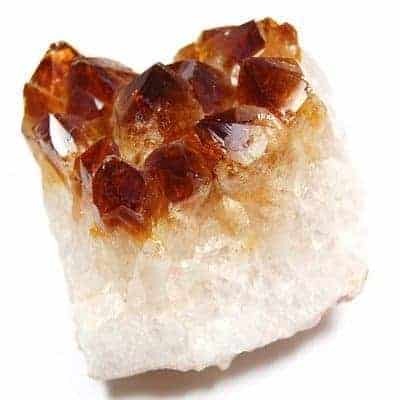 Citrine is often associated with opening the “emotional mind” to new ideas, discerning which are the most likely to succeed, allowing those to become a reality by providing the energies needed for us to follow through. Citrine Druze Cluster(6" - 7")"A" -1pc. Citrine Druze Cluster(6" – 7")" A -1pc.